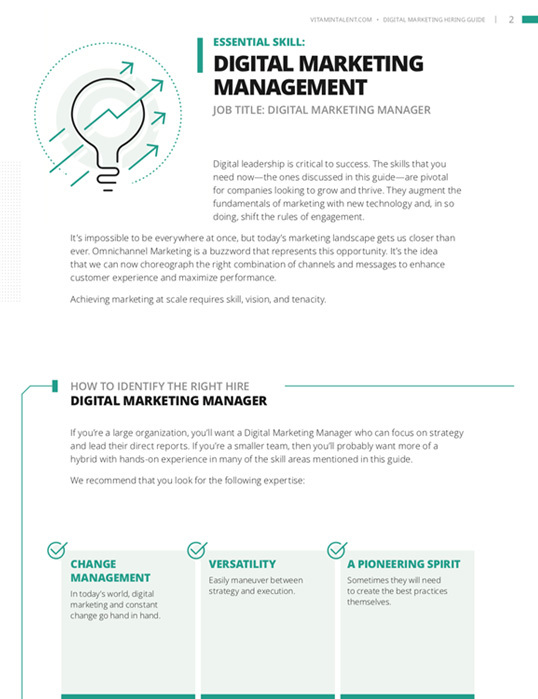 Day by day it gets more difficult to draw a line between marketing and digital marketing. The space in between has become a blur. What’s clearly in focus though, is that marketing’s changing. Teams are being held to a new level of accountability, relying on data like never before, and working to transform themselves to drive growth. 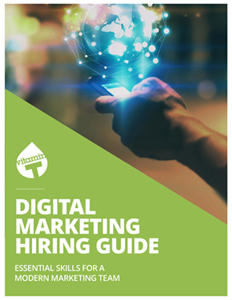 Learn how to transform your team, your brand, and your marketing program results with the new Digital Marketing Hiring Guide. Vitamin T makes life easier by getting you great candidates fast! Find out more by connecting with us at (855) 848-8568 or vitamintalent.com.